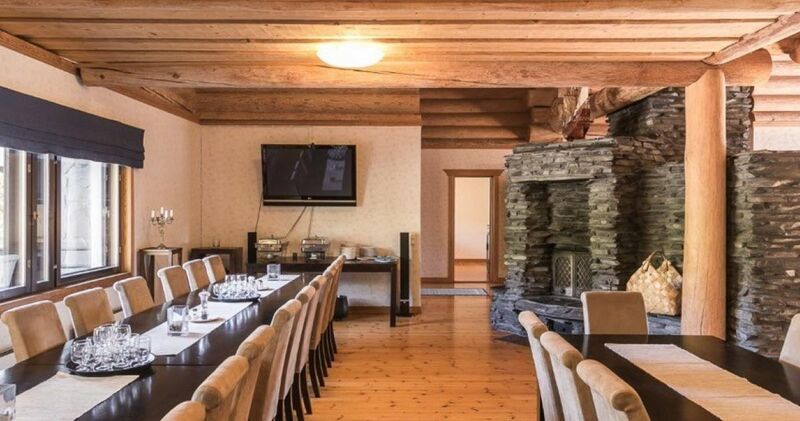 Villa Eagle Rock is a relaxing place for meetings and get together occasions in Porkkala. Sea & Mountain Adventures is a family-owned company which has hosted top-quality outdoor events in Helsinki metropolitan area, in Nuuksio National Park since 1994 and in beautiful peninsula of Porkkala since 2008. Idyllic log cabins Bear’s nest and Safari lodge and Lappish tepee-restaurant ”White Reindeer” with live reindeer are located in Nuuksio (35 km/35 min. from the capital of Helsinki) and Villa Eagle Rock is located in Porkkala (45 km/45 min. from the capital of Helsinki). Sea & Mountain Adventures is a co-entreprenour with Metsähallitus and Finnish Nature Centre Haltia. 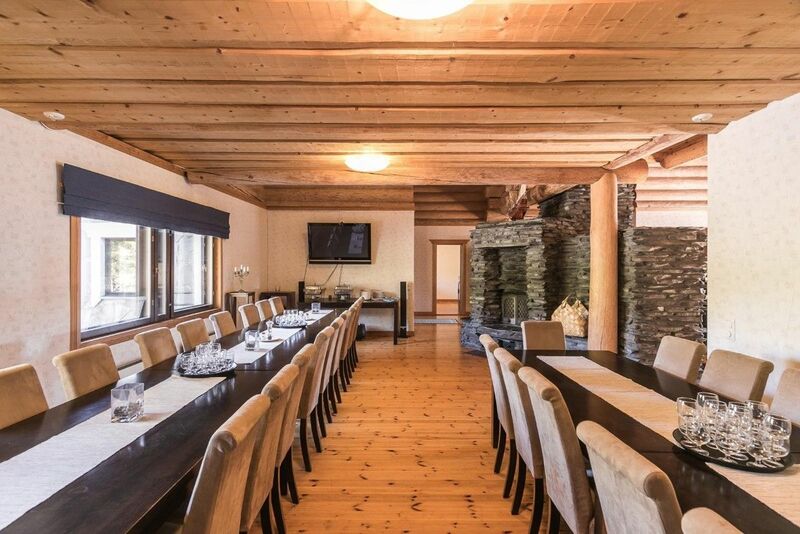 Villa Eagle Rock is a massive loghouse with spacious facilities for meetings and get-togethers. 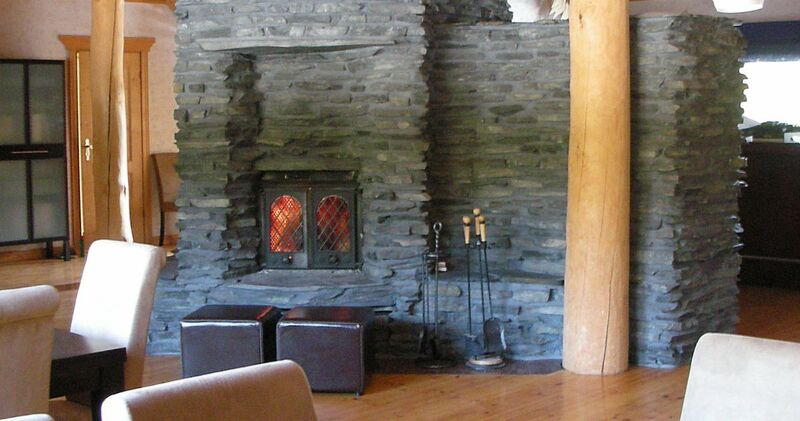 In addition to the main hall with fireplace there is a separate meeting room with smaller cosy cabinet with armchairs and fireplace. AV equipment and internet access is available. The Finnish cuisine and the surrounding archipelago inspired us to create a variety of menus which makes your mouth watering. The wine list completes the tastes. In the end of every menu is a delicious dessert waiting a gourmand. All meals are prepared and served on the spot from the own kitchen and beverages can be ordered from the fully licensed bar. A comfortable sauna department with two saunas, swimming pool and jacuzzis gives a gentle relaxing touch to your body and mind after hard work’s day or activity. 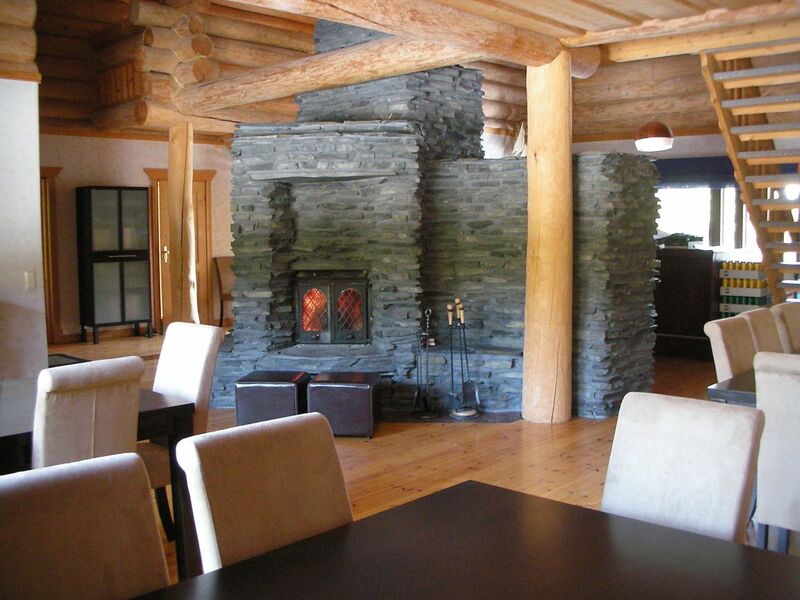 Sipping a cool drink by the pool after the sauna and sitting in front of the open fire place, is a treat you can’t miss! At the end of the day we accommodate you in our comfortable bedrooms upstairs. All the quests will have a curtain separated bed with a homey and impressive log environment and a common living room. Accommodation is also provided in a separate bedroom which is located in an entrance floor. Team building activities in the courtyard, cycling, kickbiking, nordic walking, canoeing, sea fishing, cruises from Helsinki to Porkkala, rib-safaris, snow shoeing, interesting stories about the time of ”Porkkala Parenthesis” from 1944-1956 when Porkkala region was leased to Soviet Union, etc. We plan your activity carefully to be safe but still exciting and memorable.